Smartwatch manufacturers have been good at trickling down new software features within smartwatches to earlier models, in order to encourage a growing market for consumers who’ve not yet thrown their hat – or in this case, their wrist – into the game. Smartwatch maker Pebble follows the same line of reasoning, as the company is now bringing their Timeline, a feature showcased on their Pebble Time smartwatches, to the older Pebble Classic and Pebble Steel smartwatch collections. The news was confirmed by Pebble this week, with the company indicating that Timeline is currently in Beta mode. Since Apple places restrictions on the iTunes Store, only Android users can join the beta-testing community at Google+. If you want to take advantage of this opportunity to test the latest feature on your Pebble Classic or Pebble Steel, you can go here to apply for the beta community. 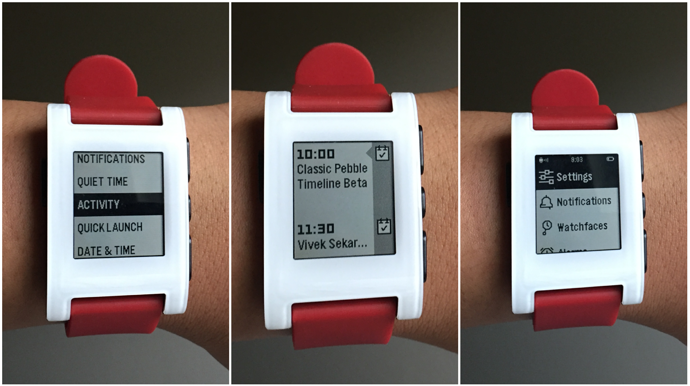 The Pebble Timeline feature will be made available to you via a Beta 3.8 download once you’re approved for testing. Pebble’s Timeline is a feature that allows you to grab all the information you need at once, rather than having to dig through apps to find the information you need. It’s something akin to the “glances” feature on the Apple Watch, or the watchfaces on the Gear S (different layouts let you have your email, weather, time, and calorie information available on the same screen). The Pebble Time Timeline feature will be made official on Classic and Steel smartwatches this month, though Pebble doesn’t give an exact date.